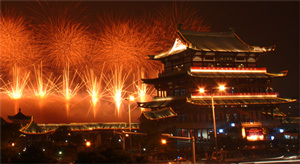 Our team will be visiting Liuyang City in China - the Fireworks Capital of the World - to see our manufacturers in February to test and review new material for 2012. The team are leaving on 20th Feburaury. With testing on 22nd, 23rd and 24th February for CAT.4 professional material. Watching the new range fired in a large display on the 25th February. Testing CAT.3 consumer fireworks on 26th, 27th, 28th and 29th February. Leaving China on 1st March - watch this space!